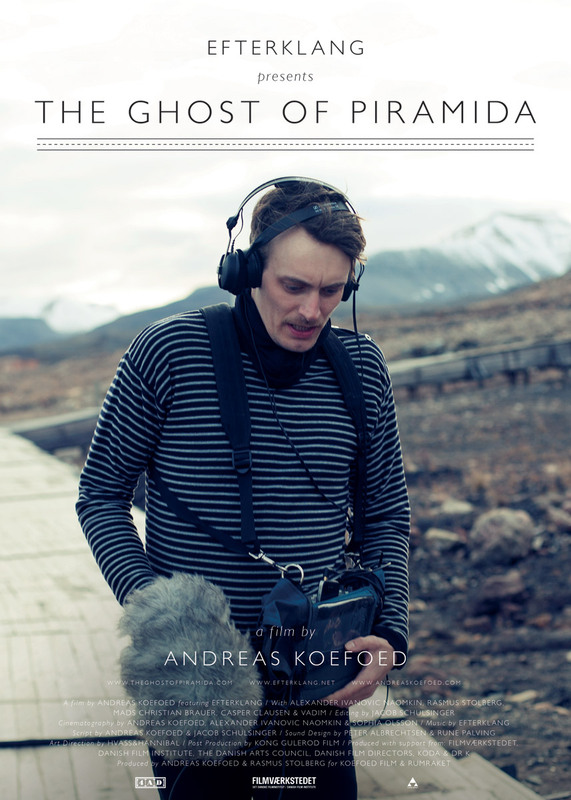 THE GHOST OF PIRAMIDA have been released digitally on September 27th 2013. 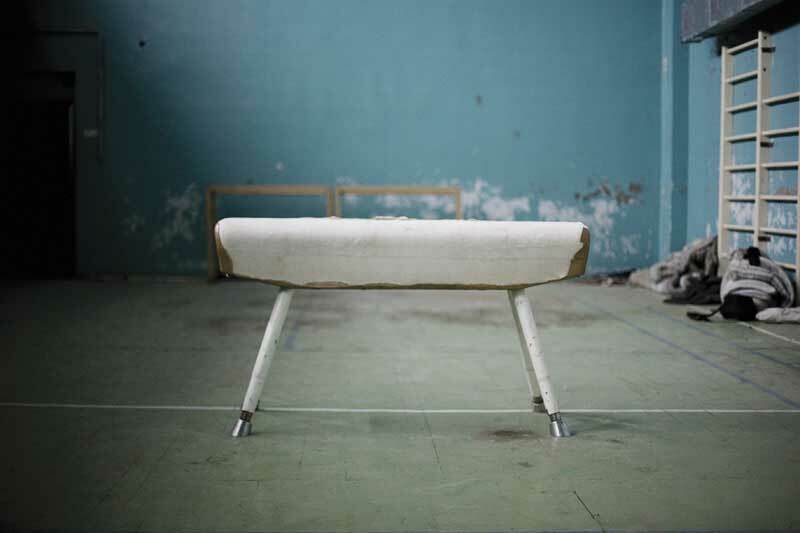 Following the release of fourth album Piramida (Sep 2012, 4AD), Efterklang add another string to their bow with The Ghost of Piramida, a film by Danish director Andreas Koefoed, that documents the Danish trio’s visit to the abandoned Russian mining town where the record’s inception began back in the summer of 2011. 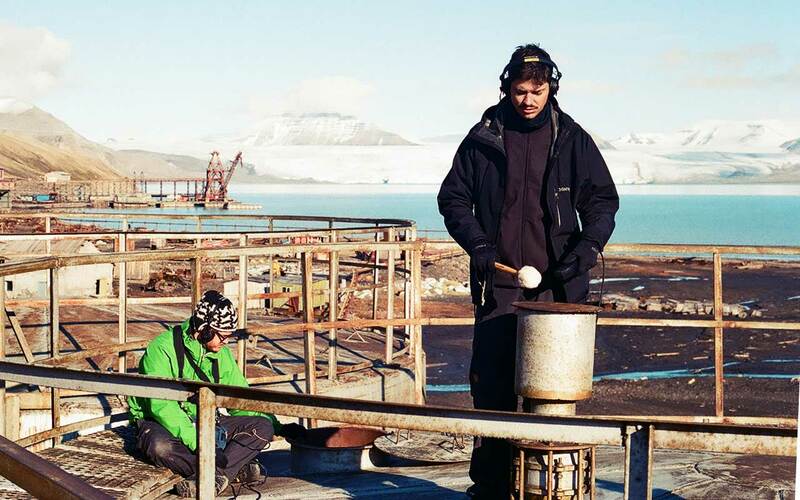 Accompanied by their taciturn and indifferent Russian polar bear guard, the group goes on an audio treasure hunt in the empty buildings of the abandoned town, while the narrator, former Piramida citizen Alexander, takes us back to a bygone era, when Piramida flourished and the immigrant Russian miners and their families lived in a Soviet parallel society far from the brutal reality of their homeland. 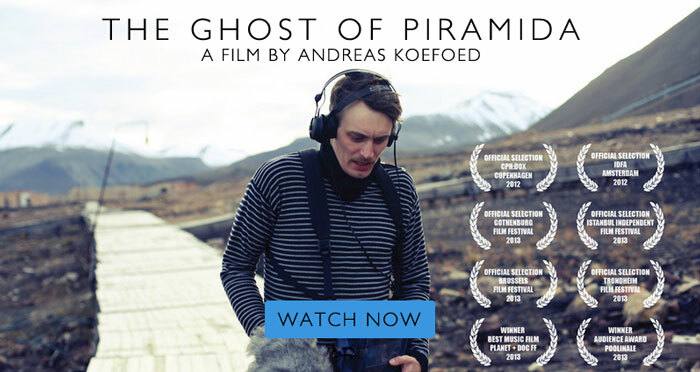 The Ghost of Piramida premiered in November 2012 in Amsterdam at the world’s biggest documentary film festival IDFA, and here the film was selected as one of the top three music films of the year. Since then, the film has been screened at several other film festivals and in art house cinemas around Europe. 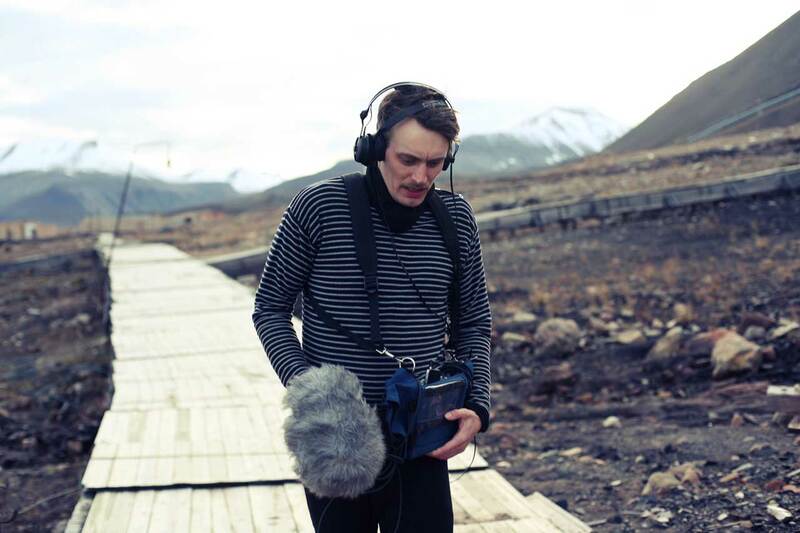 The film was also screened via Efterklang’s own distribution system, the so called Private-Public Screenings where anyone can host an official screening as long as they can accommodate minimum 5 guests. A total of 812 Private-Public Screenings of the film were held across the globe between February 8th and March 31st 2013. You can watch group photos from the Private-Public Screenings here.